I’ve recently read Andrew Root’s, Faith Formation In A Secular Age: Responding To The Church’s Obsession With Youthfulness. It was a dense read. As a result, it has triggered numerous thoughts about how we engage students, helping them to form faith in the current cultural era. I think this book has been very helpful in thinking through the way we approach discipleship, particularly in youth ministry. But, at the same time, I found that it raises unsatisfactory answers in its conclusions. Having read the book, and thought through some of Root’s ideas I have written a fairly comprehensive review. It was accepted by The Gospel Coalition Australia editors and published on their site. “This has resulted with churches increasingly viewing youth ministry as a “saviour” for their church. While the church youth movement has historically been there, it is really only in the last fifty years that this area of the church has risen to the level it is today. There was actually a time when churches didn’t have a youth pastor and where the work toward the young people was driven by a group of volunteers. The striving after a pastoral staff position specifically for youth ministry is something new, relatively speaking. Youthscape are a youth work organisation in the UK and interviewed Root about his book in episode 41. Homebrewed Christianity interviews Andrew Root about Faith Formation In A Secular Age. I haven’t listened to this but will do in coming days or weeks. The Distillery Podcast is an initiative by Princeton Theological Seminary. They interviewed Root about this book and I found it to be a good insight into his thoughts. When You Gonna Be A Real Pastor is a fun podcast by two youth pastors in the USA. Here they interview Andrew Root before the book was released, partly on his previous book and partly on this one. I have to admit that I often enjoy the planning process of youth ministry. There is something about the start of the year, when the calendar is fresh and empty, that inspires creativity and excitement about the ministry year ahead. Over time I’d like to think I’ve grown in my understanding of how to plan a youth ministry year. This growth has helped in solidifying my process and systems in preparing an event, a curriculum, or even gaining a grasp on the coming 12-months. It’s not always easy taking the ideas and inspiration for youth ministry and making them fit into an already busy year. However, I’ve found it helpful to put my planning in perspective as I look ahead to the year. There needs to be some time set out in your calendar to actually plan. This will require planning itself. But as the saying goes, “failing to plan is planning to fail”. With this in mind I’d encourage you to look at your calendar over the next couple of weeks and block out a whole afternoon to plan the coming months (or more). First and foremost, there needs to be time set apart for planning our youth ministries. When I haven’t planned well I can get into an anxious and stressful state. But when I have planned an event or a meeting to the best of my ability I am considerably less anxious. Even when my planning fails, knowing that I’ve done all I could have in the lead-up allows me to reconcile the failure. It puts me in a better position to evaluate what is happening while things are going wrong and also gives me the metrics to learn what I could’ve done better. “…the hearts of humans plan their course, the Lord establishes their steps” (Proverbs 16:9). With this kind of thinking my planning is put into perspective. I can do as much as I can, as well as I can, but at the end of the day I need to recognise God’s hand in these plans too. Keeping this in mind helps me from relying on my own skills, abilities, and self and turns my heart to praise as I know I’m part of God’s wider, global, mission in youth ministry. We could spend a lot of time planning and little time actually implementing those plans. Remember to make sure you have the time and energy to put these plans into practice. Each year that goes by I always find an adjustment is needed in my schedule to move the youth ministry forward. At the end of the day I am hoping to implement the plans I make, having a heart for the Lord to use them in whatever capacity he chooses. May it be so for me, just as it may be for you as you serve God and his people. An enjoyable part of working within the #youthmin world is connecting with other youth pastors and youth ministry practitioners from across the globe. For a number of years I’ve been following a guy called James in the UK. He regularly blogs about youth work and ministry from a British perspective. I often find his posts helpful, and it really is just him vomiting his thoughts onto the page (or screen as it may be). As it happens, James and I are reading the same book at the same time. Andrew Root’s latest work, “Faith Formation In A Secular Age: Responding To The Church’s Obsession With Youthfulness”. Yesterday, James had a few reflections on the beginnings of the book and I found it useful to engage with. You can read it here. In this post I’d simply like to engage with what he has written and add my two cents too. This is a key comment. 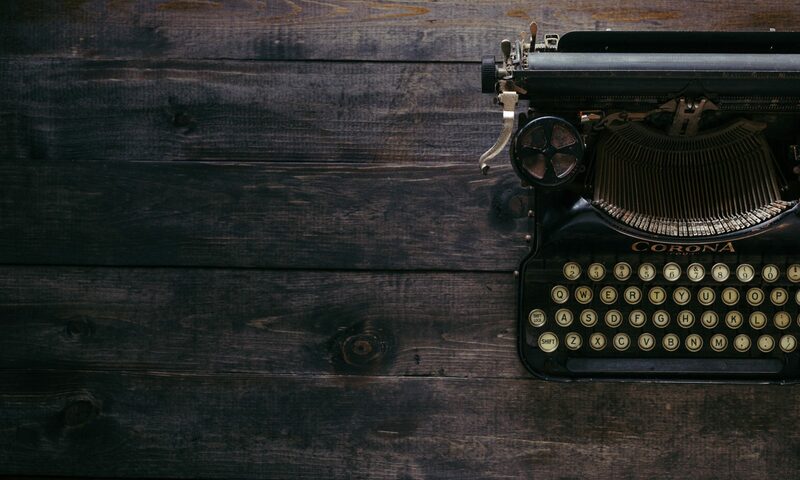 It is a key issue the church battles with today, and one that youth pastors and other church leaders know, feel, write about, and talk about a lot. The first part of Andrew Root’s book is a fascinating look into the rise of youth culture in society, particularly American culture, and the effect this has had on our thinking. His contention, better argued than I will articulate here, is that the West, since the 1960’s, has had an obsession with ‘youth’, which filters into everything we see around us. So much so that whenever we think of something to do with ‘youth’ we believe it is authentic and cool. That which is authentic is generally that which is young, yip, and youthful. In our churches we’ve seen this occur over the last 40-50 years through the strong rise in the youth ministry movement. Prior to the 1960’s, and the beginnings of student and youth orientated para-church organisations, the sole youth pastor within a local church community was not even a thing. Now, almost every church’s second staff appointment would be a youth pastor. To look after the ‘young people’ of course. Furthermore, there has been a sharp rise in considering ‘youthfulness’ as being the epitome of church and church life. For a church to be authentic, happening, and growing, it needs to have the vibe that it is young, cool, and hip. When you look around Christendom currently, this sort of vibe is especially evident. James talks about how many of the youth workers and pastors in his region have been given the flick because of financial restraints and the like. He talks about the decrease in specialist youth workers in his region regularly, it seems to be a major concern. But this got me thinking about how many churches I know who have full-time youth and young adult pastors. Generally, it is only the ones who are large, perhaps with a Sunday morning attendance of 250+, that can afford such an expense. I am also aware that there are plenty of smaller churches who seek to employ a youth pastor (or similar) but can only afford to days per week at the most. My question is, is the church of the future willing to work together in order to pay someone a full-time wage but have their youth work cross local church boundaries? In other words, would two or three smaller churches in a particular area be willing to pay for one person to cover youth ministry in their region? I think this would be an interesting experiment for local churches to grapple with. This would provide someone with full employment, paid through two or more churches, while giving broader scope for the churches than their own little patch. Some might call it kingdom thinking I suppose. Rather than actually think about survival (which I understand is a massive issue when the finances are barely paying the overheads), wouldn’t it be better to think more strategically and out-of-the-box in regard to youth ministry? When we’re solely thinking in terms of survival, looking to ‘attract young people’, then we’ve lost the plot. What we need is a vision that understands the realities of what it is to work in faith-based youth ministry, but have that aligned with a larger vision of God being at work through his people, the Church. And, along the way it would be worth experimenting and working together with other churches for the spread of the gospel and work of his kingdom. In chapter 40 of Genesis we read of Joseph in prison. He’s in prison because he’s been falsely accused of sleeping with the wife of Egypt’s 2IC (second in charge). But chapter 40 tells the story of Pharaoh’s cupbearer and baker, who are also in prison with Joseph, having dreams that need to be interpreted. Joseph seems to have risen to prominence, even within the prison walls, as he is tasked with looking after these two men. Having shared their dreams with him the cupbearer and baker ask Joseph to interpret them, which he does. When Joseph interprets positively for the cupbearer he asks him to remember him and speak highly of him to the Pharaoh. When these things happen the cupbearer is released and finds himself back in favour with Pharaoh. This sparked a thought about how we often forget those who play a significant role in our lives. We all tell ourselves a certain narrative of the way things are, of what has happened in our lives. We are able to remember significant things, turning points, and people in our lives. But then, there are all those people we have forgotten, people who may have only had a small part in our lives at some point. When we think about our own walk with Jesus we often have key people who are part of that journey. We might remember a youth pastor, or a youth leader that connected with us regularly, or maybe someone older in the church who asked how we were every now and then. Sometimes though we forget those other people who were around and part of the ministry; they don’t seem to play a role in our narrative. This is often what it is to be a youth leader. It is often the case that we can be forgotten. We become a forgotten leader. The forgotten leader isn’t any less significant. I often think it is better to be the forgotten leader than the one who goes down in a blaze of glory, remembered for all the wrong things they did. The forgotten leader is someone who serves without expecting to be needed in years to come. They serve in the youth ministry (or any other for that matter) week in and week out. They continue to grow in their relationship with God, and students come and go through the programs with the forgotten leader faithfully serving. This kind of leadership is certainly not what our culture expects. We want youth leaders that are flashy, that are bold, that are magnetic. But often these kinds of leaders don’t last long. Soon enough they’ve had their fill and move on to another place where a new set of people will attach themselves to them. A forgotten leader is someone who is counter-cultural and at their heart a servant. They get on with the job of connecting with God and connecting with students, doing the task they have been given for that season. Their work often goes unseen, they help with setup and are often packing up well after the parents have picked up their children. A forgotten leader is a servant leader; doing the one-percenters make the ministry work and being faithful to do what God has asked them to do. In this way the forgotten leader lowers themselves, not seeking first place, but highlights others before themselves. When Joseph is forgotten by the cupbearer he was performing the task that God had asked him. The issue isn’t that he was forgotten, it’s about how he was faithful to God. May you be a forgotten-faithful leader this year. If it was a choice between a warm beach location or say a cold snowy type location, the beach wins every time. And so with summer holidays and hot days comes the annual visit to the beach. A few days spent relaxing, reading, and having a rollicking time with the family. Last year I spent hours making an awesome sandcastle with my daughter, this year it seems we’re more adventurous and have ventured into the cooler waters and waves. Oddly enough, the beach had me thinking about youth ministry. Perhaps it was the salt water, the days off, or too much cricket watching (can that ever be the case?). 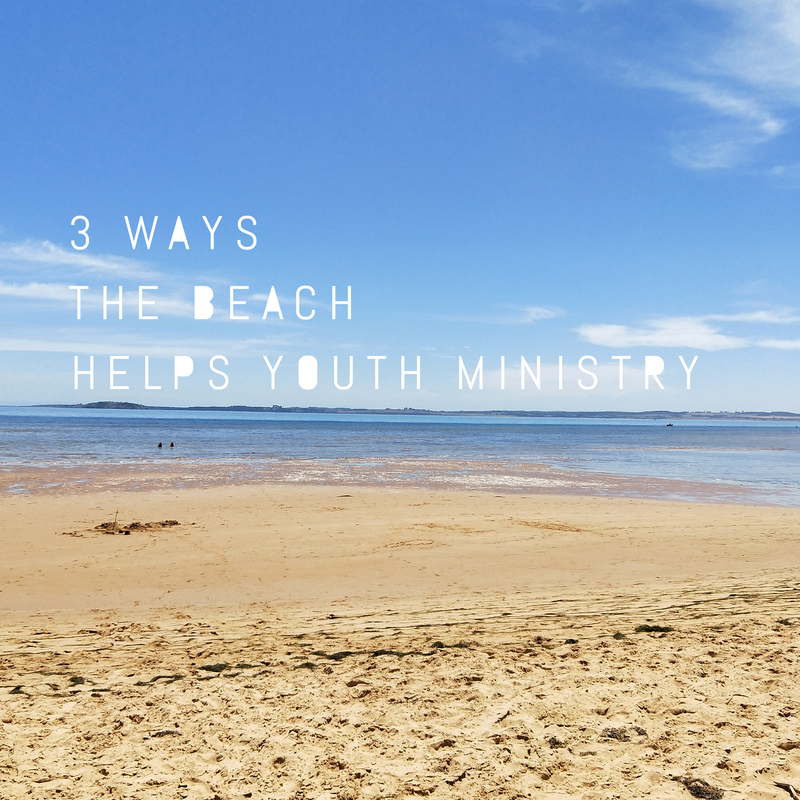 Nevertheless, using the beach as an illustration for youth ministry it reminded me of three things we youth leaders need to have in mind coming into the 2018 youthmin year. Sitting on the beach gives you a view of the large expanse of water in front of you. It gives you a view of stretches of sand, to your left and right. It reminds you that there is something bigger than your small self going on in this world. As one person sitting on a small patch of sand, millions of grains within arms reach, you are given perspective on life, faith, and ministry. As Psalm 139:7-10 reminds us, God is huge. He is everywhere. In youth ministry we often need perspective. It’s not about the next event, the next catch-up, the next Bible study, the next service, the next hard conversation. It is about God, and declaring that he has come, and is with us through his Son and his Spirit. He will lead and hold us, as the Psalmist has written. Generally sand is quite gritty. On some beaches it really does give your feet a good workout. Youth ministry is the same. It is a hard work. It is constant work. It requires grit. It is the type of work that will give you a good workout, physically, emotionally, and spiritually. It might be a different context but Paul’s words speak of the kind of grit needed for ministry. The physical persecution is not generally associated with Western youth ministry, but that doesn’t discount the challenges it brings. All this requires grit. It’s goes without saying that this grit will come more easily when we are walking closely with Jesus. As we work with students and their families we seek to serve them and the church out of our enjoyment of God. Third, we need to be fluid. At the beach you can sit on the sand and watch the waves come time and time again. You can also go for a swim and enjoy the cool water on a hot day. Stating the obvious, the water is fluid and can cope with what is going on in it and around it. When working with students (and adults too) we need to be flexible, fluid. Often things won’t go to plan, people won’t turn up, or the weather might not be what we’d hoped for our program. In working with people, and in youth ministry, we need to be flexible in our plans and ideas. It’s helpful to know and be sure in what we think is the best way to operate, but sometimes others might actually provide better ways. So whether it’s events or people, holding things losely, having planned to our best ability is something worth evaluating for ourselves coming into the new youthmin year. At any time, not just at the start of the year, it is worth taking a few moments to gain perspective, grow in grit, and assess what we hold tightly. I can recommend the beach as a good place to do that.